Call us at (888)850-6932 for more information or to get started right away. 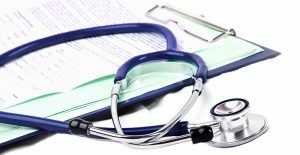 If you are looking to start a medicare approved or medicaid certified home health care agency, 21st Century Health Care Consultants are a team of home health care consultants specializing in state specific licensing processes, CHAP Medicare Accreditation and CHAP Medicaid and Private Duty Accreditation. Our home health care consultants understand what it takes to start and build a reputable home health care business from the ground up. Offering ongoing support and home health care training, 21st Century Health Care Consultants will training, support and guide your home health care business to success. If you’re not sure if you want to start a Home Health Care Business or a Home Care Business, read our blog that explains the differences. Our home health care business startup program will assure that your home health care business has everything it needs to be a successful, compliant home health care agency that is a force to be reckoned with. Your home health care business will become licensed, CHAP accredited and training to provide skilled home health care services and non-medical home care services if effort to assist the elderly and disabled population with their daily living activities and provide medical support to assure they remain in their home and lead a quality, fulfilling life without the need of a long term health care facility such as an assisted living facility or nursing home. Home health care license requirements vary from state to state. From the type of insurance your home health care business will need to secure, to the detailed staff requirements, no two states are exactly alike. Our home health care training program will assure that your home health care business is doing everything it can to become and remain a profitable home health care agency in your community. Home health care businesses are the preferred health care providers in the eyes of Medicare, Medicaid and private insurance companies. As hospitals are pressured to lower their readmission rates, your home health care business will be a driving force providing support, education and home health care assistance to patients in need of care. Starting a home health care business will prove to be challenging, yet rewarding and highly profitable. Home health care is a need, not a want; your client base is limitless. 21st Century Health Care Consultants team of home health care consultants will assist you from the process of incorporating your home health care business, to achieving state licensure and CHAP accreditation. Once you are an accredited home health care business, you and your staff will enjoy a lifetime of ongoing support and training provided by our team of dedicated home health care consultants. Having worked in all states that are open to licensure, we are well informed and understand the state by state home health care licensure requirements. Starting a home health care agency does not have to be a difficult process. Let our home health care consultants save you time and money by walking your home health care agency through each step of this difficult process. Starting a home health care business is one of the best, if not the best opportunity you will have to start a business. The demand for home health care services in the home is greatly increasing as the aging population rises and hospitals fight to keep their readmission rates low. Home health care businesses benefit the entire community and are highly profitable with opportunities for reimbursement from Medicare, Medicaid and companies. One can only think of few business opportunities that are as rewarding as starting a home health care business. A home health care business has the opportunity to spare government programs like Medicare and Medicaid unneeded expenses, while greatly increasing the quality life for the elderly and disabled population in need of medical services. As a home health care business, your home health care agency will offer skilled medical home health care services and non-medical home care services to patients in need. It is important to realize the difference between skilled medical home health care and non-medical home care. Skilled medical home health care businesses offer home health care services to patients under doctors’ orders while non-medical home care businesses offer non-medical home care services and assistance with daily living that does not rely on doctors’ orders. Anyone can receive non-medical home care services without a doctor’s guidance. Start a home health care business will require greater funding and a deeper staff requirement than it will to start a non-medical home care business. Once you decide which type of business you would like to start, you have 3 options. You can start your home health care business or home care business on your own, with a home care franchise company or with the help of a consultant. Do you have the time and energy to achieve home care or home health care licensure, accreditation and gather all of the document and policies necessary to operate your home health care business all while training staff and building patient resources? Not to mention, the ongoing home care training you and your staff will need to compete in the competitive home care market. Many home care and home health care agency owners do not realize the many variables that exist when starting a home health care business. Will you achieve home health care licensure as quickly as possible? Will you undergo a flawless home health care accreditation audit? Are you keeping in mind employee retention and possible struggles marketing your home health care business? A home health care consultant can assist you with all of this. Home health care franchise companies provide you with a name and a marketing plan, but you are on your own when it comes to the ongoing support and training your home health care agency will truly need. If your home health care franchise or home care consultant does not employ a team of true home health care professionals, how great is their knowledge really? Our home health care consultants will help you open a home health care agency or start a home health care business with no home health care startup royalty or franchise fees. 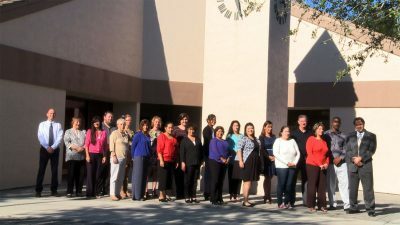 Our home health care business consultants are a full time staff of nearly 40 employees including: home health care licensing specialists, registered nurses and other specialist ready to assist your home health care business and guide you through the process of home health care licensure and home health care accreditation. All while offering home health care training and support to you and your staff. We’ve started nearly 3,000 Home Care Business! Contact us and find out how to start a home health care business. Our services are 100% guaranteed. Our home health care consultants will work with you until you are licensed and accredited and provide unlimited training for the lifetime of your home health care business. The best part is, there are no ongoing fees. You pay only one low cost, far less than the high cost of other, less knowledgeable and smaller teams of home health care consultants that are forced to offer their services at such a high costs because of their small teams and insufficient turnaround times. Home health care and home care franchise companies charge ongoing royalty fees and territory restrictions with no regard for your growing pains. As the owner of a home health care business, only the state of New York requires that you have some form of home care experience. In all other states, home care experience is not necessary to own and operate a home health care or home care business. You will however need to employee the required staff dictated by your states home health care standards. Our home health care business consultants will provide strategy and planning assuring a flawless startup. Have you ever tried contacting the department of health in your state? In most states it is hard to contact the right person and you get the runaround asking how to start a home health care business. Our home health care consultants will educate you and assure you are ready and comfortable with the process before they will ever ask you if you are ready to move forward and take the next step towards starting your home health care business. If you are considering opening a Home Health Care Agency then look no further. 13. Complete a plan of correction (if required), hope that you get it all right!!! And this is just the startup process. 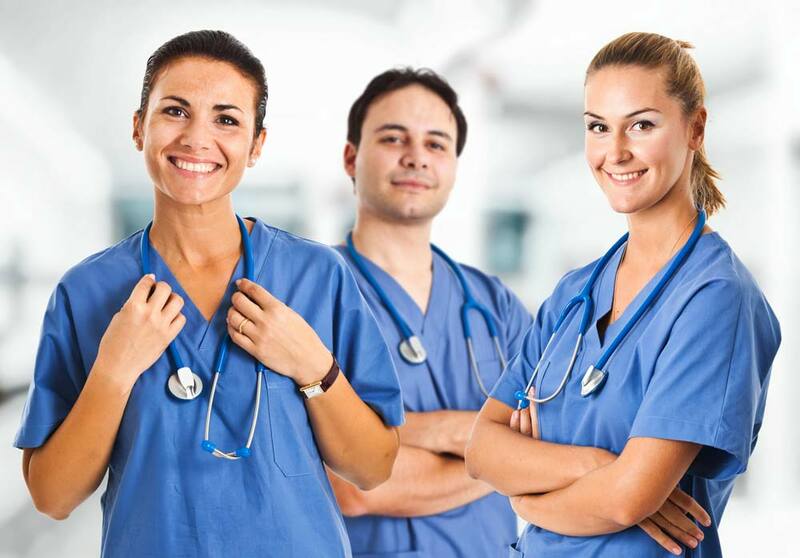 Depending on the state your home health care business is located in, you will need 1 or 2 Registered Nurses to achieve home health care licensure. Once you are ready to proceed with Medicare Accreditation, you will need 2 Registered Nurses and 2 Administrators. Other variables include home health care licensure time. Some states offer licensure in as little as 2-3 months, while other states take as long as 18 months like New York. Most states will take around 4-6 months before you become a licensed home health care business, assuming you satisfy the state and get it right the first time. There are also a few states that will give you a provisional home health care license, ask that you take on 1 to 3 patients and then conduct a site survey auditing your patient charts. Other variables include your written business plan, commercial office space vs home office, etc. Discussing home health care startup in broad terms as we are here, you need to understand that this is a business. You will need to set up a bank account, telephone line, fax, software, merchant accounts, business plan, marketing plan, etc. Our home health care consultants will assure that you have everything you need in place and completely understand what this process entails. Starting a home health care agency by yourself will cost between $15,000 and $20,000 in startup costs depending on the state you are in. This is of course assuming you are seeking Medicare Accreditation. Starting your home health care business is an expensive, time-consuming and sometimes frustrating process. How much is piece of mind and greatly increasing your chance for long term success worth to you? What about your home health care policies and procedures and all of the forms and documents you will need to start your home health care business? We provide your customized, state specific policy and procedure manuals to you. Our policies and procedures are written by our clinical department apply to your unique situation. State standards, accrediting body, specific agency detail, etc. Also included are your patient admission packets, Personal Files, Logs, Forms, In-service Education Plans, Nursing Procedures, Documented minutes for committee meetings, etc. You must keep in mind that the employees you hire are the face of your home health care business. Your clients do not know you, they will grow to know your nurses and caregivers which means it is important to know and understand what to look for in these potential employees as well as assuring they are adequately trained. How does your home health care business find clients? We will teach you how to market to doctors, adult care facilities, hospitals, outpatient centers, senior centers, 55+ communities, etc. We will teach you what to say and how to say it. If you do not know what to say when a physician or facility tells you they are already working with a home health care agency, you need to attend our home health care business training. You will learn how to market and brand your home health care business and understand how to operate your home health care business understanding the day to day operating procedures and how to stay compliant with state standards and Medicare accreditation standards.